Take advantage of group Advising 101 sessions at Rio Salado valley-wide locations this summer! You can also take part via webinar! 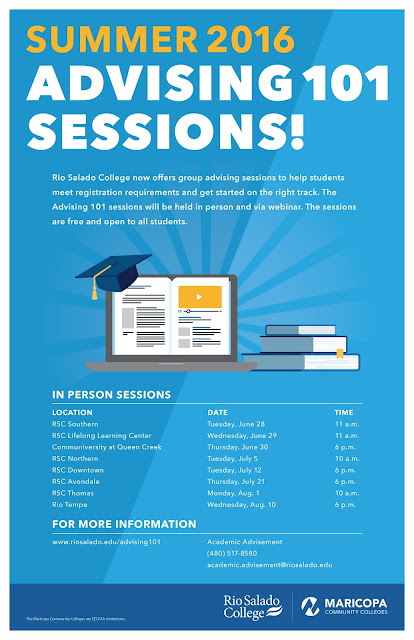 Visit www.riosalado.edu/advising101 for the latest details.